Vote forDubbo, NSWTop Regional Destinations Which are Australia's must-visit destinations? You help us decide. An ever-growing destination in regional NSW with a charm all of its own, Dubbo offers visitors a range of things to see and do unique to this part of the state including key highlights such as the popular African savanna that is the Taronga Western Plains Zoo, and the eerie and historic heritage-listed grounds of Old Dubbo Gaol. Add in a variety of regular festivals and events and a lovely helping of greenery, and it's not hard to see why it ranks as a favoured getaway destination for Sydneysiders. Why it's special: A unique city in the Orana Region of New South Wales, Dubbo is a destination of festivals and events, along with being home to popular attractions Taronga Western Plains Zoo and the historic Old Dubbo Gaol. Located around 400 kilometres northwest of the New South Wales capital, Dubbo provides a refreshing break from the bustle of the "big smoke" of Sydney and offers a range of more leisurely things to see, eat, drink, and do. This inland NSW town is famed for its wildlife attractions and laid-back lifestyle while still offering all the conveniences one could want of a modern urban centre in terms of dining, accommodation and more. Featuring cattle stations, cotton fields and large open spaces, Dubbo offers everything an outdoor-lover could hope for in a holiday getaway - and does an excellent job of catering to families, as well. It's dense with attractions and activities that cover both the adventurous and the cultural; wildlife here is particularly conspicuous, with plenty of chances to see animals - as well as one of the top family attractions in the savannah-like Taronga Western Plains Zoo. Dubbo's back-to-basics approach is reflected both in its experience offerings and the friendly and welcoming attitudes of many of its locals. With a rich history to accompany its cityscape, one can easily spend the whole day exploring the city and learning about its historic roots whether by foot, car, or bicycle. Take an Aboriginal cultural tour and learn about the region's indigenous background; hop on two wheels and explore the 12.5km-long Tracker Riley Cycleway alongside the Macquarie River; or while away the time in the gorgeous surrounds of the Dubbo Regional Botanic Gardens with its signature Japanese garden - among countless other options. A gem in regional New South Wales, Dubbo does life a beat behind the rest, one in which culinary culture is increasingly developing, too. Dubbo is host to an up and coming food and drink scene to rival some of its other neighbours. All you'll need to do is stroll through the city centre to see the vast range of cafes, restaurants, pubs, bars and boutique wineries operating in this newfound hotspot. Looking to pay a visit to Dubbo but not sure what to do? Here are a few of its most essential experiences. What's new in Dubbo in 2016/2017? A push is being made to host the popular TV awards ceremony The Logies in Dubbo in the next couple of years. The concept of a man-made lake being developed in Dubbo is being explored with the aim of boosting tourism and helping locals in hot summers. 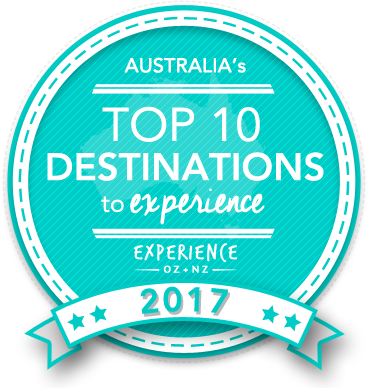 Is Dubbo Australia's Top Regional Destination to Experience for 2017? Vote now for the chance to WIN an epic trip to one of Australia's top destinations!